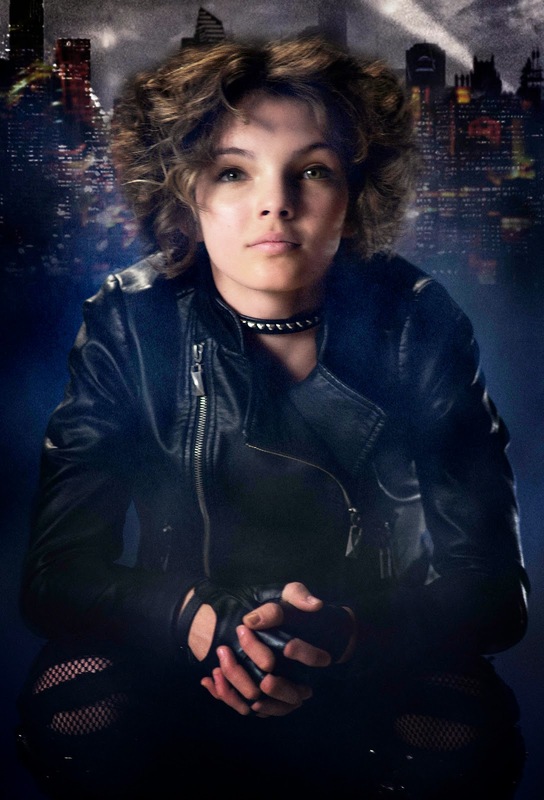 Gotham's second episode was aired this week and was titled Selina Kyle. This episode centers around Selina Kyle, her life in the streets of Gotham City and how her life will cross with James Gordon and the young Bruce Wayne. A group of people pretending from the Mayor's office are abducting homeless children for the Dollmaker. Selina Kyle saw the abduction and a murder of one of the homeless man trying to stop the abduction. With this incident Gordon and Bullock handles the case. The pair investigates and encounters the group responsible on a pharmacy where the children are kept. Considering the case resolved, the mayor decided to put the kids in foster care while the older ones will be put to an juvenile center upstate.The abductors was able to hijack one of the buses and kidnaps the children. It's a race against time for Gordon as they try to find where the children might be before they will be transported abroad. Meanwhile, Oswald Cobblepot moves to the countryside through hitch-hiking. He then calls somebody asking for a ransom of for the teenager who let him ride earlier. Alfred has trouble understanding what Bruce is doing to himself when he caught him trying to burn his hand through a candle. He asks Gordon to talk to him because the young boy looks up to him. At the end of the episode, Selina asks Gordon not to let her go upstate where she'll be sent to a juvenile center. She then told him that she might know something about the Wayne murders. 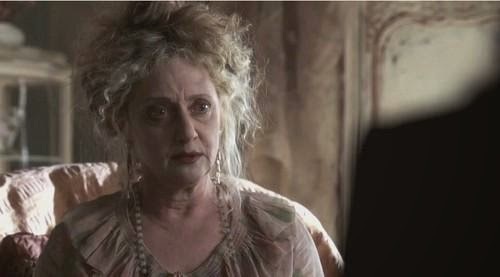 Gertrud Kapelput (Carol Kane) - Oswald's mother. It seems she is possessive when it comes to his son. There is also traces of being eccentricity. Aubrey James (Richard Kind) - Mayor of Gotham City. He enjoys the publicity when the abducted children were rescued. Gordon considered his decision to put the rescued children to foster care and juvenile center as cruel and harsh. Lazlo (Michelangelo Milano) - A waiter in Fish Mooney's bar. It appears that he is Mooney's current lover. Falcone had his men beat him up in front of Mooney to warn her about loyalty. This character might be based on the villain in the comics called Professor Pyg. Joker Reference - "Watch the shoes, clown!" Said by a fellow cop to Bullock. Oswald does not really want anyone calling him the Penguin. But with his limp right now, he should expect it more. It is revealed that GCPD chief Sarah Essen is working for the mob when he asked if Gordon is really with the program. This episode also shows Carmine Falcone visiting Fish Mooney in the bar. Falcone clearly states his leadership over the mob and threatens Mooney not to ever betray him. Falcone also mentioned that the Waynes and Falcones are pillars of the same house. With Thomas Wayne's death there is an imbalance. What does he mean by the same house? Does this mean that Thomas Wayne is a member of the mob? This is interesting. MCU Detectives Montoya and Allen is looking into the disappearance of Oswald and asks his mother. Ever wonder why Oswald's mother uses Kapelput? Cobblepot is the English-form of Kapelput. His mother's eccentricity and possessiveness may have contributed to how Oswald acquire a liking for inflicting pain. In this episode, Fish Mooney had to let bygones be bygones when the pair, Gordon and Bullock, asked her for some information. There is still some grudges but since they are all now with the same "side" they have to work with it. The Gotham City mayor, Aubrey James looks like a publicity hungry politician that only cares about the votes of the people but not their welfare. Selina Kyle preferred to be called Cat and her signature move is shown when he took the eyes of one of the men who abducted them. She also shows her manipulative skills when he asked the police officer to call James Gordon.